This is book 0.5 – a sort of introductions to the world and characters in a new series I guess. It makes sense now why it was so light – when I read it I was surprised it was so short and simplistic, just an uncomplicated plot centred around a few main characters. 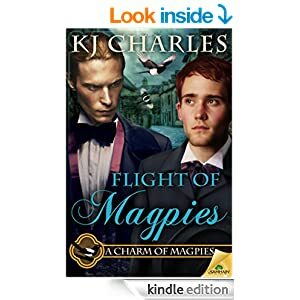 As a book on its own it didn’t do much for me, well written of course and the romance is sweet – I’d have liked a bit more friction, sensuality, angst from it but space is limited. Its one of the reasons I don’t often read novellas, and I hadn’t realised this wasn’t a full novel. I just saw Alexandra was the author and assumed I’d enjoy it as I love some of her books. My mistake. Stars: three, good start but too light on it’s own.